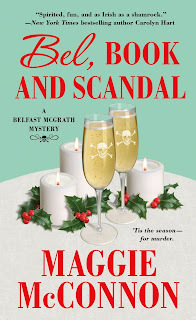 Description: Maggie McConnon rings in Christmas in Bel, Boiok, and Scandal,the third adventure for everybody's favorite Irish-American culinary artist turned amateur sleuth. Why I Picked This Book: I enjoyed the previous book in the series and I love mysteries from the past. My Impression: I love a good quirky family in books and the McGrath clan has quirky in spades. And because they all work together at Shamrock Manor they see a lot of each other which means arguments and hi-jinks abound. 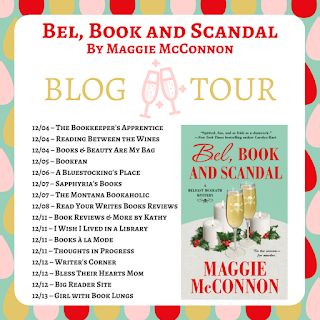 The characters are really fun and I loved their interaction though if I was Bel I think I'd be looking for a job far far away. In the previous book, the mystery of just what had happened to Bel's childhood friend Amy was an ever present mystery. When they were both 17 Amy had disappeared without a trace and while a discovery at the end book lent an ominous tone to whatever had happened nothing was ever really known until this book. I really enjoyed Bel's investigation though she does get a little impulsive at times (okay quite a bit) however, with her emotional involvement in the case it was easy to understand her reasoning. This was a really fun read with quite a crazy cast of characters and a good mystery. 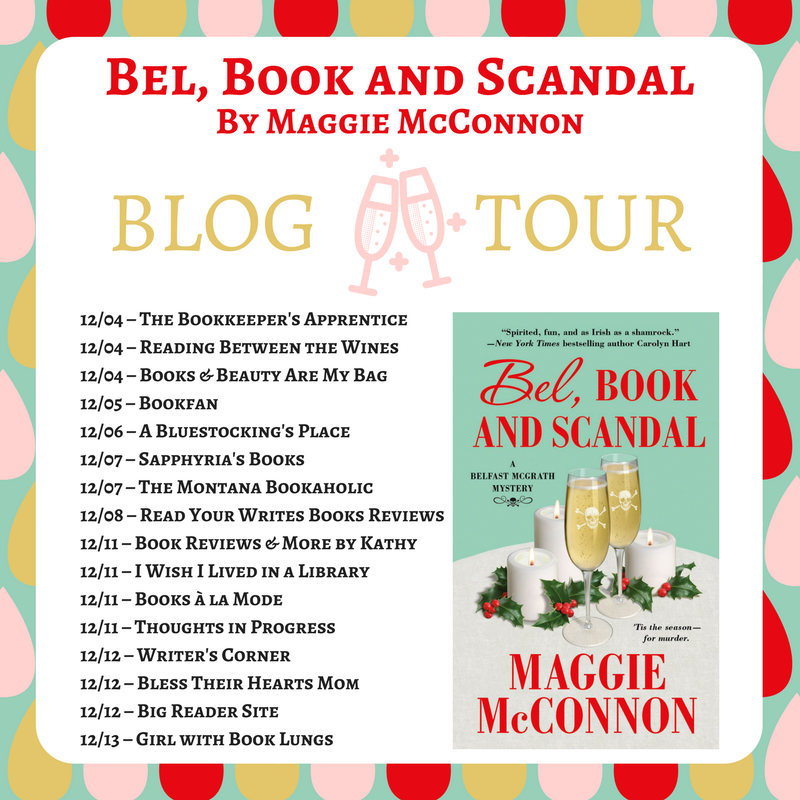 I enjoyed finding out just what had happened and felt like I got to know Bel a bit better through the investigation. Would I Read More of this Series/Author? Absolutely! I'm looking forward to the next book already. Would I Recommend This Book? Definitely! 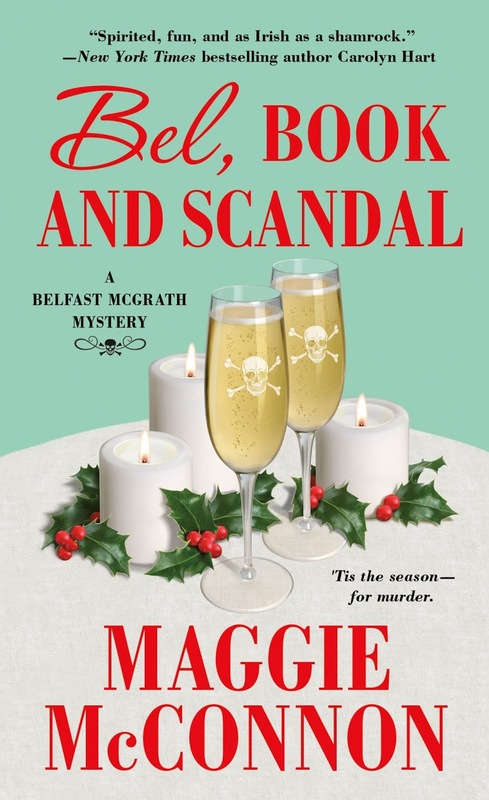 If you enjoy cozy mysteries this is a fun one. If you haven't read the previous books no worries! You can jump in right here. This looks really fun. I read a cozy mystery once called Bell, Cook and Candle, and liked that. That phrase lends it self well to cozy mystery titles, doesn't it? This looks good, of course I would want to read book one first. It was fun, wasn't it? I loved Bel's family. You always seem to find the best cozies to read. This sounds like a lot of fun! This sounds wonderful. Quirky family in a cozy mystery sounds like a gem! I just ventured into cozy mystery last year and I'm starting to think it's my new favorite genre. Thank you for putting that you can jump in anywhere. I think I'll check the first book out and see what I think but this one looks great!